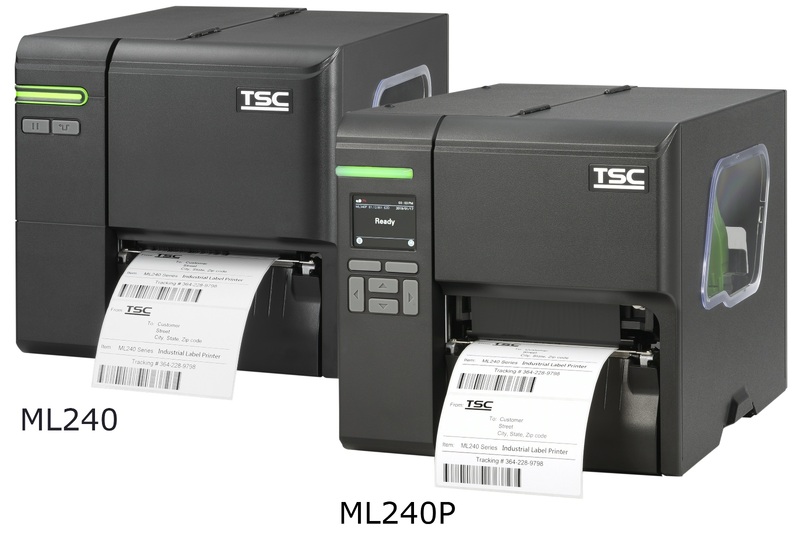 TSC Auto ID Technology, a global provider of quality auto-ID solutions for transportation and logistics, manufacturing and healthcare, industry and retail brings in industrial label printer ML240 Series. The newly launched printer will consolidate the existing series of products and will aid the TSC Auto ID’s growing line of light industrial barcode label printers that are designed to fit perfectly into crowded work environments. The ML240 series incorporates a robust die-cast aluminum print mechanism engine that is designed for durability while producing high quality printed labels. The printer is available in 203 and 300 dpi print resolutions and can print at speed up to 6 inches per second. The light industrial ML240 series features ease of use, intuitive color GUI display, noise-reduced printing, and self-diagnostic TPH Care to streamline the workflow. Utilizing an enhanced design and an advanced printing algorithm, the noise level from printing operation is dramatically reduced. The adjustable thermal printhead and its self-diagnostic TPH Care mechanism ensure optimal print quality regardless of the application or label design. The ML240 Series does not require special tools for performing common service and maintenance, saving time for more important tasks.